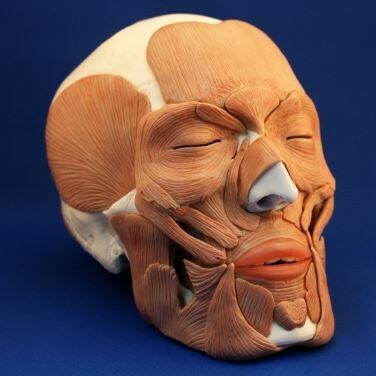 This model represents life like reproductions of the muscles of facial expression and mastication. Ideal for anatomy studies, patient education, allied health training, medical-legal documentation, and forensic science. It has a high utility value for the students, researchers, and practitioners in the fields of medicine, dentistry, beauty and esthetic businesses, forensic medicine (including facial restoration), art, human engineering, anthropology, biology, and paleontology and all persons who are interested in the "face". The facial and masticatory muscles can be removed and reinstalled easily into around 40 parts. Include a Colored user guide in English, French, German, Spanish, Latin, Korean and Japanese.